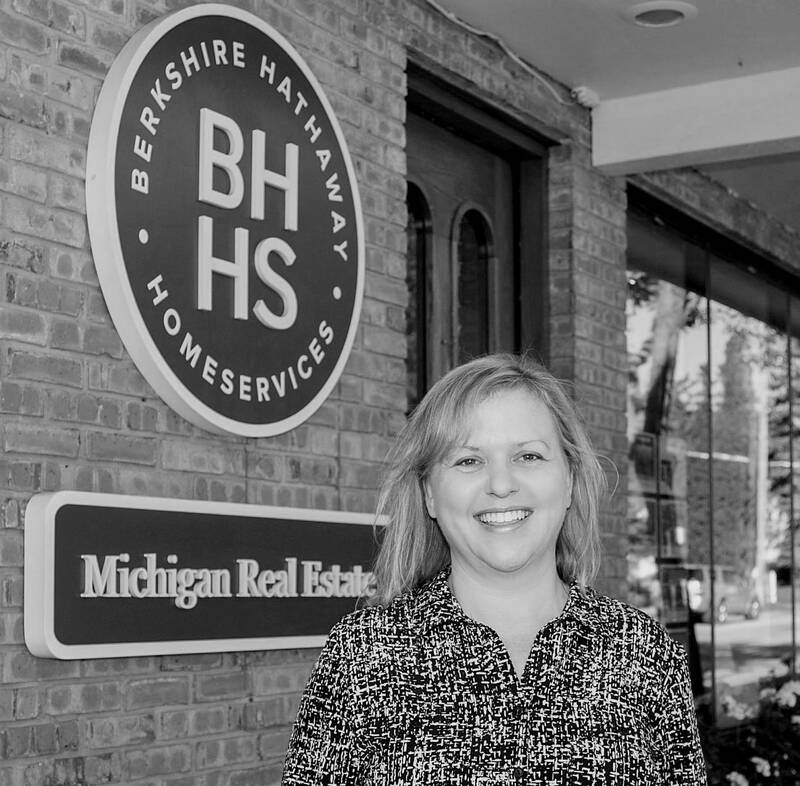 Every year Berkshire Hathaway HomeServices Michigan Real Estate in northern Michigan pulls together a local property guide for all from Cheboygan to Traverse City. Click below and take a look at some of our new listings. I was talking to a young gentleman today and he was interested in what involved in buying a home. I found this link which has great information for first time home buyers. If you are young or just haven't made the leap to home ownership, this link may be helpful. Color. White kitchens are clean, pristine and modern but they don't have to be monotone. Colors that are coming on strong are teal, a deep bluish green and marine blue, a saturated greenish blue. If you love white, or white and grey kitchens, think about adding more color to the island, walls, cabinets or backsplash. Workstations. Designated food preparation areas for chopping, mixing, cooking and washing allow family and friends to cook together, making meal preparation a fun bonding activity. Beverage stations. Beverage stations adjoin the kitchen, so choose the appliances around your favorite drinks, including coffee machines, smoothie makers, wine storage, juice bars and cocktail mixing. Waterfall islands. To really show off your choice of granite, dress your island with a waterfall, where the granite cascades down the sides between the seating area and food prep area. The look is glamorous and expensive. Helping aging parents while managing a career and raising a family is a challenge. If you're considering having your parents live with you, this list will help you choose the right home to meet everyone's wants and needs. First, sit everyone down who will be affected by the arrangement for a friendly pow-wow. Ask for a wish list from each person, including the kids, of desired features in a new home, so you know each person's expectations. Make sure everyone knows that you'll do your best to meet as many wants and needs as possible, but you'll have to prioritize. Compromises will be required of everyone. Who will own the new home? If you use your parents' retirement income to buy a home, it will help you qualify for a larger, more expensive place. They can be tenants-in-common and be equally responsible for paying the mortgage. All co-owners must qualify with the lender. The other choice is that you have a rental agreement with your parents to show more income that will help you qualify for a larger mortgage. It's ideal if your parents have their own suite of rooms, including a bedroom, living area, private bath and kitchenette. Real Estate in northern Michigan has been very active the last couple years and now there is a need for single family homes in the area. Condominium associations in Charlevoix such as Belvedere Terrace, Marina Bluff, Foster Boat Works and others seem to be selling fast once on the market. I would suggest that homeowners who have been thinking about selling there home this 2018 season to consider listing sooner than later this spring in order to get the home exposed to the largest market. Are You New to Home Buying? I have been in the Real Estate industry for over 10 years. I started out as an Office Administrator and now in addition to that role I am now a Realtor®. Since I am in a busy office, I tend to see a lot of different scenarios involving sellers and buyers. If you are new to the real estate market, the best starting point for you is to do a monthly budget, see how much you can budget for a down payment and research current interest rates along with loan options and what your payment would be per month. There are a lot of resources available to estimate monthly mortgage amounts. Once you have a good idea of how much you can spend, you can then shop the area where you would like to live in order to find what you can afford. Your first step when you are serious about buying your dream home is to find a bank and get a pre-approval. This will give you an idea of how much you actually can get a loan for. Remember, a good Real Estate Agent can help to point you in the right direction if you have questions.